On the 30th June, a procession led by pipers walked from Cushendall to Glenariff in Co. Antrim. This was the opening ceremony of the first Feis na nGleann or Festival of the Glens. The feis was the brainchild of Francis Joseph Bigger, a Belfast-born lawyer and member of the Gaelic League. 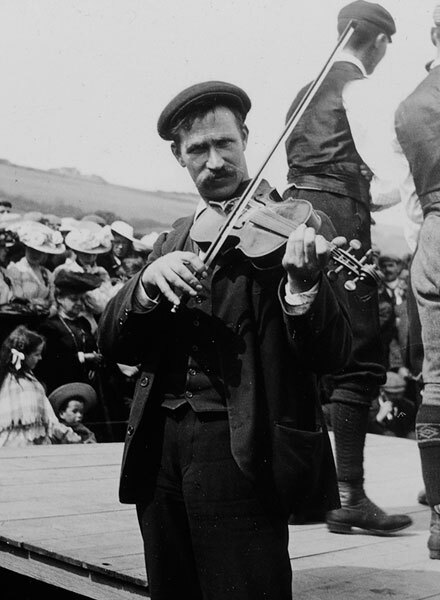 The league was an organisation which aimed to preserve and celebrate the Irish language and Ireland's traditional culture, customs and music. The league was co-founded by another Co. Antrim man, Eoin MacNeill. MacNeill often spoke of his fond memories of hearing Irish spoken in the Glens of Antrim as a child. Indeed, even in the early 20th century, Irish was still spoken by many people in this part of Co. Antrim (as well as English and Ulster-Scots). 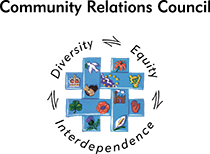 The feis featured hurling competitions, displays of local crafts, Irish dancing and music. The festival continues to this day. 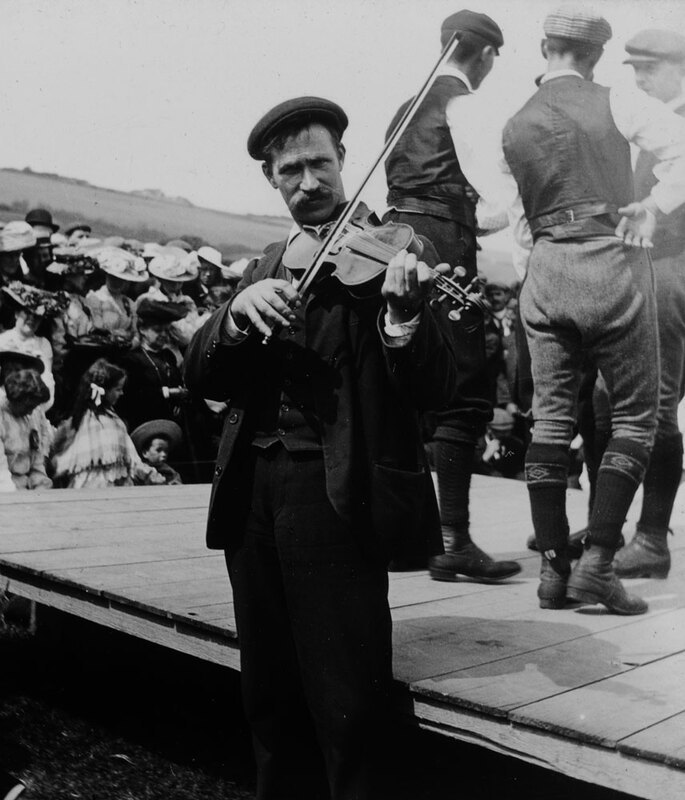 Fiddler at the Festival of the Glens.